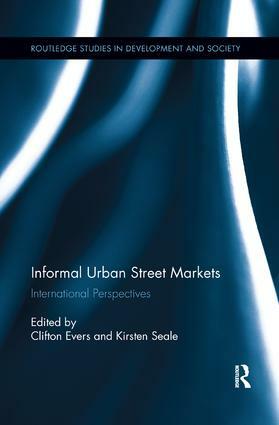 Through an international range of research, this volume examines how informal urban street markets facilitate the informal and formal economy not merely in terms of the traditional concerns of labor and consumption, but also in regards to cultural and spatial contingencies. In many places, street markets and their populace have been marginalized and devalued. At times, there are clear governance procedures that aim to prevent them, yet they continue to emerge in even in the most institutionalized societies. This book gives serious consideration to what these markets reveal about urban life in a time of globalized, rapid urbanization and flows of people, knowledge and goods.